Situated in a shopping district, this apartment building is within 3 mi (5 km) of Royal Park, Queen Victoria Museum, and Cataract Gorge. Situated by the sea, this motel is 1.5 mi (2.3 km) from Tamar Island Wetlands Centre and within 6 mi (10 km) of Cataract Gorge and Velo Winery. Royal Park and Penny Royal Adventures are also within 6 mi (10 km). 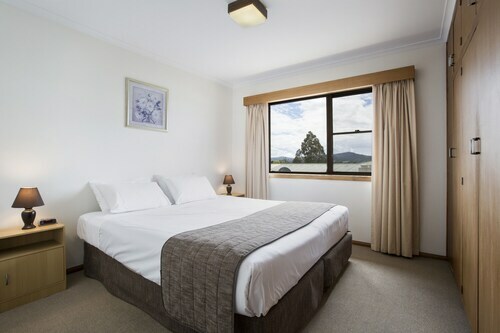 Situated in Riverside, this luxury guesthouse is within 3 mi (5 km) of Tamar Island Wetlands Centre, Penny Royal Adventures, and Launceston College. Royal Park is 3.1 mi (5 km) away. 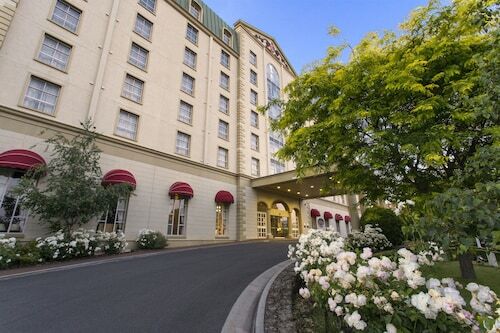 Located in Launceston CBD, this luxury hotel is steps from Design Centre of Tasmania, City Park Radio Museum, and Princess Theatre. Albert Hall Convention Centre and City Park are also within 5 minutes. East Tamar Junction Station is 26 minutes by foot. Heading to Riverside? You've struck gold. There's a fair number of hotels available close by. 11 of those are less than 5 kilometres from the centre of town. Wotif suggests checking out the Peppers Seaport Hotel and Leisure Inn Penny Royal Hotel & Apartments if you want to be near the main areas. Walk down to the banks of Launceton River and let the waters ebb and flow as you appreciate its surrounds. 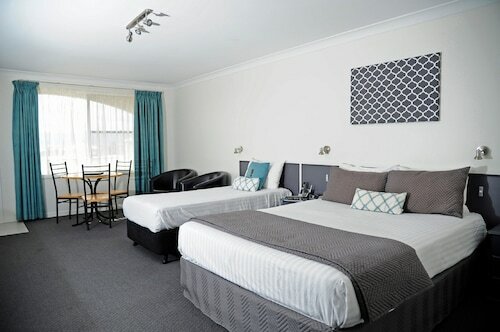 If you're trying to find a room close by, think about Quest Launceston Serviced Apartments and Apartments at York Mansions. They're sure to impress! For more options, checkout the Quamby Estate and the Westbury Gingerbread Cottages. They are located 17 kilometres and 25 kilometres respectively from the center. If these aren't for you, try the Elphin Motel & Serviced Apartments or the Clarion Hotel City Park Grand. The nearby localities of Youngtown and Rosevears - Grindelwald are definitely worth seeing. Youngtown is 10 kilometres to the southeast of Riverside, while Rosevears - Grindelwald is 11 kilometres to the northwest. 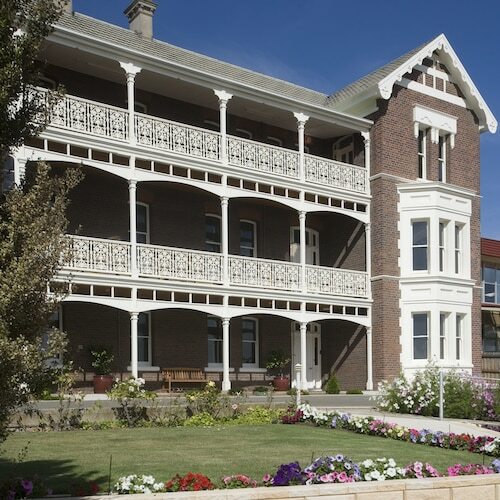 Youngtown accommodations are the Alice's Cottages and Spa Hideaways and Edenholme Grange. Rosevears - Grindelwald options are the Aspect Tamar Valley Resort and Pastimes Riverfront Apartments. Aussies are famous for their passion for sport, so why not visit Aurora Stadium? Aurora Stadium can be found to the east of Riverside. 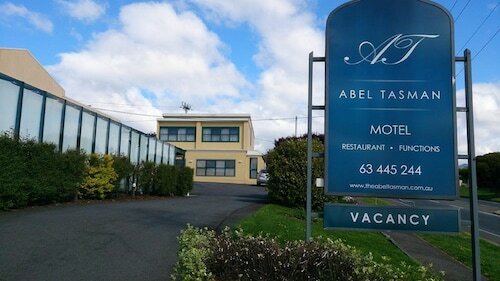 The Sebel Launceston and the Launceston City Park Apartments are close to all the action. 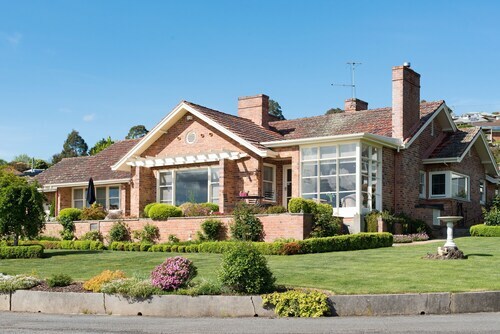 Travellers arriving or departing through Launceston Airport may plan to stay at the Relbia Lodge or the Arendon Cottage, both of which are nearby. How Much is a Hotel Room in Riverside? Hotels in Riverside start at AU$76 per night. Prices and availability subject to change. Additional terms may apply. The location was great and very centrally located. The room was clean and beds comfortable, although, the decor and furniture was a little outdated. Our room was quite warm when we arrived and there was no air ducted conditioning. Instead they offered a portable air conditioning system which was a little disappointing. The buffet breakfast was varied, simple and included in my original booking, but this caused confusion with the staff who thought otherwise (not the best service!). Overall, good value for a short stay, but could do with some improvements, as mentioned. The property is beautiful and the rooms are very comfortable and large. The staff are very friendly and helpful. I’d highly recommend.